Choosing which air conditioner to buy for your home or office can be a complex decision as there are several factors other than just what type of cooling system will suit your needs that need to be considered. 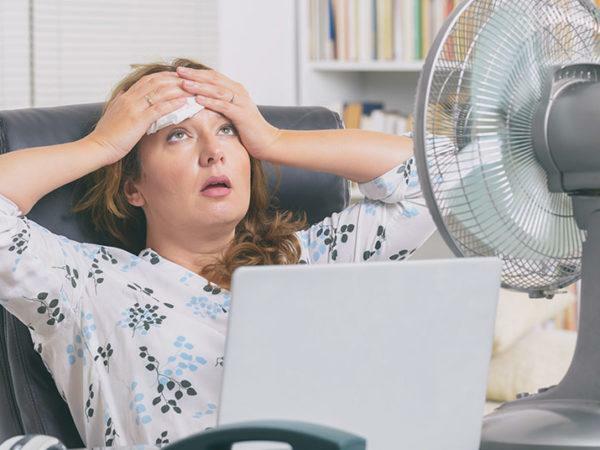 An air conditioner works by releasing gaseous refrigerant which absorbs the heat in your office or home. This gas is then sucked back up by the air conditioner which then takes the heat it has absorbed and releases it away from the area you want cooled. This process is repeated until the area the air conditioner is cooling reaches the temperature you have set on the control panel. an evaporator coil, which removes heat and moisture from the air. How these parts are connected to each other in the system are important in classifying the type of air conditioner but are also important in determining which one will best suit your needs. Cooling systems fall into one of three main groups – unitary (or monoblock) systems, split systems and multi-split systems. In a unitary air conditioner, all three major components fit in one box. These systems can be further categorised into several types. This system is generally mounted on a window, and usually its exhaust system pushes hot air out the back and sides while the refrigerant cooling system points indoors. This makes it less expensive than other units. However, because the compressor is situated in the same place as all the other parts, it’s a lot noisier. (You may have noticed this with your fridge – you hear some noise while the compressor is working). Window air conditioners are a good choice for small homes or apartments. Each unit can generally cool only one room at a time, although it can be moved between rooms as necessary. A disadvantage is that you’ll lose the use of the window that the system is installed in. Also, be wary that units placed close to the ground could easily be reached by burglars. Like window air conditioners, through the wall units are self-contained, or unitary, systems. They’re mounted into a sleeve that’s cut out of an exterior wall. These are a good choice if you don’t want to lose the use of a window. They’re also more likely to be energy efficient because an airtight seal is created when they’re installed. It’s best that a professional install this unit because a hole must be cut into the wall of a building strong enough to support the cooling system. Package Terminal Air Conditioners (PTAC) are often found in hotels, hospitals, businesses and condominiums and apartment buildings that do not offer central air conditioning. These systems are often mounted just above the floor and under a window, and function similarly to window air conditioners. These types of air conditioners are most often used in commercial settings but can be a good choice in a home where you need to cool a room that’s significantly warmer than others. A PTAC system is also useful if you’ve added a room to your house and the new room isn’t connected to your existing central cooling ductwork. A PTAC system provides similar cooling and heating capacity to a central air-conditioning system but is less expensive to install. With a portable air conditioner, warm air is expelled through a large exhaust pipe connected through a window or a hole in the wall, directing the warm air outdoors. This type of unit is designed to be inexpensive and easy to install and move. However, it can also be comparatively noisy and limited in capacity. Also known as spot coolers, these monoblock air conditioners are heavily built and powerful. Most can deliver cold air to where it’s needed via adjustable snout pipes, typically fitted to the front of the cooler. These units are ideal for computer server rooms or other environments which require consistent temperature and ambient moisture levels. The biggest disadvantage of spot coolers is finding adequate areas to exhaust the warm air. Ideal venting locations could include a nearby window, drop ceilings or an underused area of a building. This type of air conditioner is usually attached high on the wall with two air pipes which are routed from the back directly through the wall. 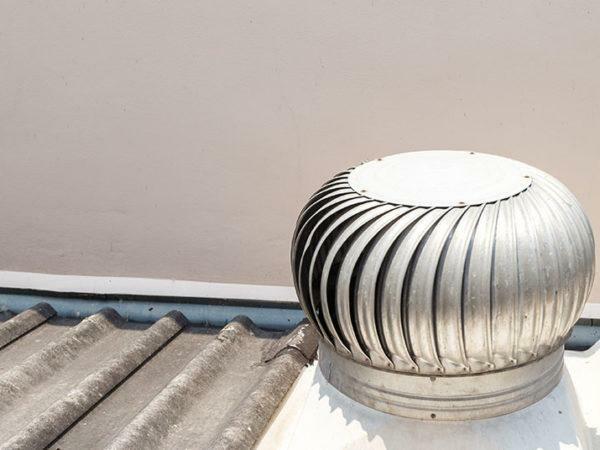 They are ideal for older buildings where planning doesn’t allow for an external condenser unit. Wall mounted air conditioners are thicker than split wall mounted units as the condenser is contained inside. These units also come with heat pumps so they can be used for heating during cooler months. Floor-mounted air conditioners are typically placed against the wall and are similar in size and shape to storage heaters. They function in the same way as wall-mounted systems and can provide cost-effective heating, as well as cooling. Split air conditioning systems consist of two parts. The noisiest part of the air conditioner, the compressor, is placed outside, while the much lighter and quieter part, including the control panel, is placed indoors. Modern split air conditioning systems are equipped with a remote control, and a heat pump facility for during the colder months. They typically come with a coarse air filter which protects the systems’ coils. They’re also equipped with fine air filters, which help purify the air, removing pollen, dust and odours. In a wall-mounted split air conditioner, the wall unit and outside condenser are mounted on either side of a wall, with hosing connecting the two. The positioning of the two components can be varied to suit the design of a specific room. Wall-mounted split systems are among the most common of all air conditioner types in residential settings. They’re ideal for providing efficient cooling and minimising operating noise, and provide users with a high degree of control over temperature settings. Floor-mounted split air conditioners are available in two main types. Column air conditioners are large, high capacity units that are generally used to cool bigger rooms where the building doesn’t allow the use of several smaller outlets. They are often used in waiting and reception areas. The unit produces a strong flow of air which makes it very difficult for anyone to stand too close to the air conditioner. Cabinet air conditioners are much smaller than their counterparts and are used most commonly to cool new extensions or greenhouses. Both these system types are typically installed by refrigeration engineers. Pipe work and cabling between the inside and outside elements is installed based on the characteristics and layout of a building, and the system is then charged with refrigerant. This means that floor-mounted split air conditioners can be quite pricey. Also known as channel or central air conditioners, duct-mounted air conditioning is ideal for a building that has a ducted air system. It’s often used where several zones or rooms, or even separate premises, must be cooled. This makes it suitable for many office premises. 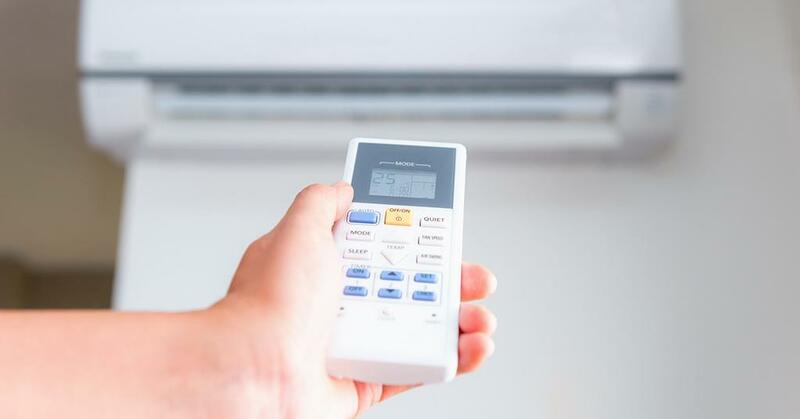 An advantage of these types of air conditioners is that you can turn off the air conditioning in zones that aren’t occupied or to suit different temperature preferences, without having to run multiple units. However, this system can be expensive and installation is more complex and time-consuming. Portable units are ideal for someone looking for a simple temporary to semi-permanent solution. A portable air conditioner commonly has a plastic sheathed cord, which contains the electrical line and refrigerant pipes. It requires a pipe for venting purposes. This can usually be passed through a window or even a small hole in a wall. Installation of these units is typically quick and easy. Cassette air conditioners are ideal for cooling and heating residential and commercial spaces. The biggest advantage of this type of unit is aesthetics, as the bulk of the unit is unseen as it is above the ceiling. The units can be wall- or ceiling-mounted, or even suspended, in narrow or confined spaces, where it wouldn’t be possible to install a split or ducted system. Because the air in these units is distributed in four directions, a centrally mounted unit can deliver an increased cooling (or heating) capacity across a wide area – one ceiling cassette air conditioner could do the same job as three or four wall units. Multi-split systems are essentially the same as split systems, except that there is more than one indoor unit linked to the external unit/compressor. The condensers in this type of unit are often more powerful than those in the average air conditioner. They also allow for the option of having different types of indoor units – wall mounted, ceiling cassette and so on – to be run from the same condenser. The biggest disadvantage of this type of unit is that if the outside unit breaks, the entire system becomes inoperative. However, a multi-split system may be a more cost-effective alternative than several split systems. Choose an air conditioner with a cooling capacity that is appropriate for the size of the room. Too big and it won’t dehumidify correctly, or it will be switching on and off too often. Too small and you’ll be spending more on electricity. Also pay attention to how many people will be in the room, if it is in a sunny or shady area and if there are appliances in the space as these all influence how warm the room will be. Cooling systems come with star-based energy efficiency ratings (EERs). The more stars, the better a system’s energy efficiency and the less it will cost to operate. Inverter air conditioners are designed to adjust the refrigerant flow inside the unit to control its cooling capacity as required. This eliminates the frequent start-stop cycles that normal air conditioners have – non-inverters switch off once the desired temperature is reached and then on again when the temperature increases. Inverter systems are more expensive than their non-inverter counterparts, but use a third less electricity. They also typically have longer lifespans and need less maintenance because the system doesn’t have to work as hard. How well your cooling system functions is heavily dependent on how well it is installed. This is especially the case with split systems which require an understanding of where and how to place the external unit/compressor. An installation and service technician will be able to accurately assess your indoor air quality needs and give advice on products and maintenance requirements. Keeping the filter clean can save up to 5-10 per cent energy and it can extend the service life of your cooling system. Ensure you can easily access it to clean it. A good filter also ensures clean air by removing dust, germs and odours which is very important for people who suffer from allergies. The last thing you’d want is to have an air conditioner that ruins your sleep or affects the productivity and concentration of your employees. Each cooling system should have the noise level of operation in its product specifications. A quiet air conditioner would be in the 50 to 60 dB range, roughly the same noise level as quiet conversation. Turbovent specialises in providing affordable and efficient cooling systems to South African homes and businesses. We offer a range of different types of air conditioners, as well as evaporative coolers and turbine ventilators. Contact us online or call 0860 266 537 to discuss your cooling needs.